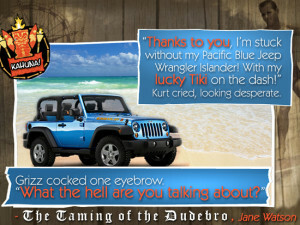 The Taming of the Dudebro and More! Welcome to my new website! I’m so excited to announce that I’m publishing The Taming of the Dudebro as a novella today on Amazon! I will post the links when it is ready for purchase. The cover I got for it is super cute, can’t wait for you all to see it. I’ve been very busy working on several writing projects, including continuing The Taming of the Dudebro as a novella series! I’m participating in Camp NanoWriMo to try and pump some of my stories out. I hope you all will be seeing a lot of published works from me this year! If you’re interested in learning more about The Taming of the Dudebro, check out the interview I had with the editor of Perchance to Dream, Lyssa Chiavari. That’s all for now! I hope everyone is having a good day! The Taming of the Dudebro on Sale Now!